Someday I'll Sleep Autism Blogs: Full of Grace Creations Monday Morning Giveaway: Amethyst Sacrifice Beads! 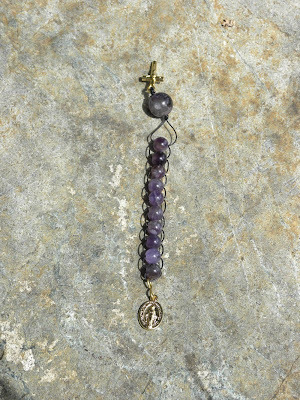 Full of Grace Creations Monday Morning Giveaway: Amethyst Sacrifice Beads! It's time for another Full of Grace Creations Monday Morning Giveaway! 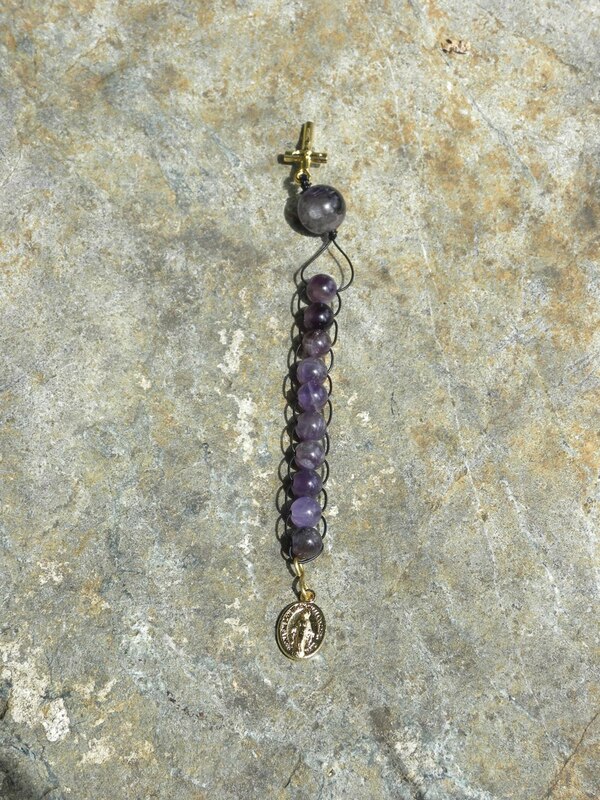 This weeks giveaway is a strand of amethyst sacrifice beads. They will be similar to the beads at right, except that the elastic will be clear (I'm having a tough time finding the right size black elastic these days for some reason!). The winner can also decide between a gold or silver colored crucifix and miraculous medal to complete the strand. Entries will be closed Sunday the 14th at noon and the winner will be announced sometime Monday morning! Those are beautiful! Would make a great Christmas present. I know exactly who I would give those to if I won...although I wouldn't mind some for myself, either! These are beautiful. I always wanted to make sacrifice beads. I want to win, I'm also a follower. i am a follower and i will post this contest on my blog. Ah! I wanted to buy these, but you don't ship to Canada, so I don't think I'm eligible to win them either. :P Drat. I do ship to Canada now (and everyplace else!) for one extra dollar ($3 shipping everywhere for anything in the store!). And you can enter if you want to! My name is Bethany and I'm a SAH(schooling)M of 4 children (9,6,3,10mths). I just came across your blog and I'm very excited, both by your topics of discussion as well as your beaded creations. I am in between blogs at the moment but I will endeavor to create a link to this on my Facebook page.